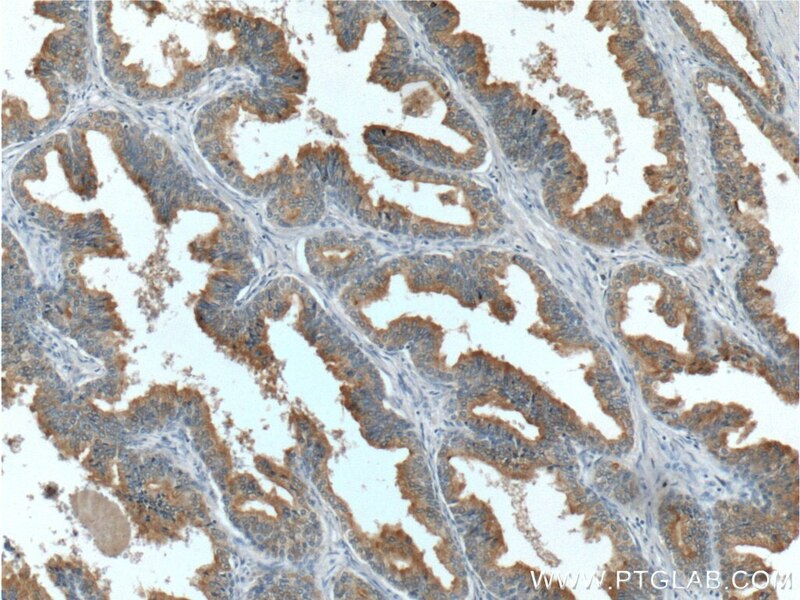 Zinc-alpha-2-glycoprotein (AZGP1) is a 41-kDa soluble protein normally found in body fluids, functions as a lipid mobilizing factor (PMID: 19188554). 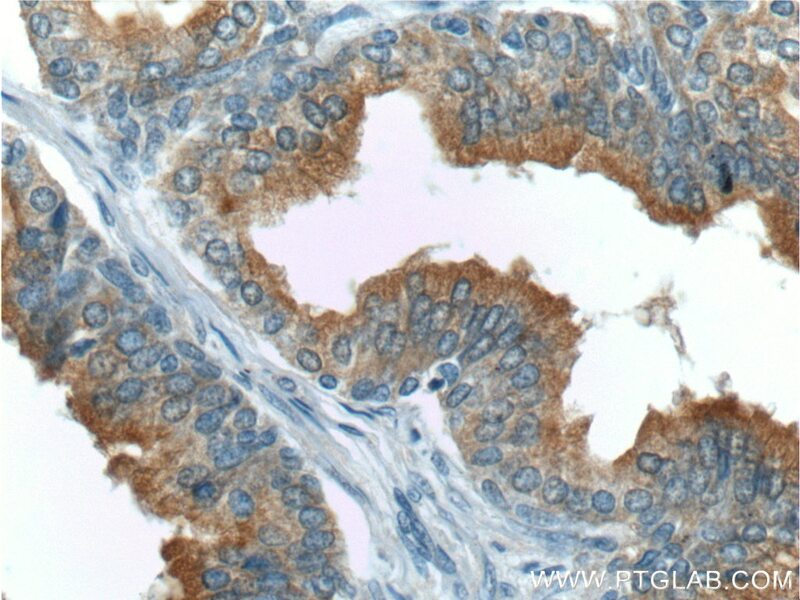 It is known to be expressed in the secretory epithelia of the liver, lung, breast, GI tract and sweat glands, sharing significant structural similarity with the class I major histocompatibility complex (MHC) antigens (PMID: 3422450). 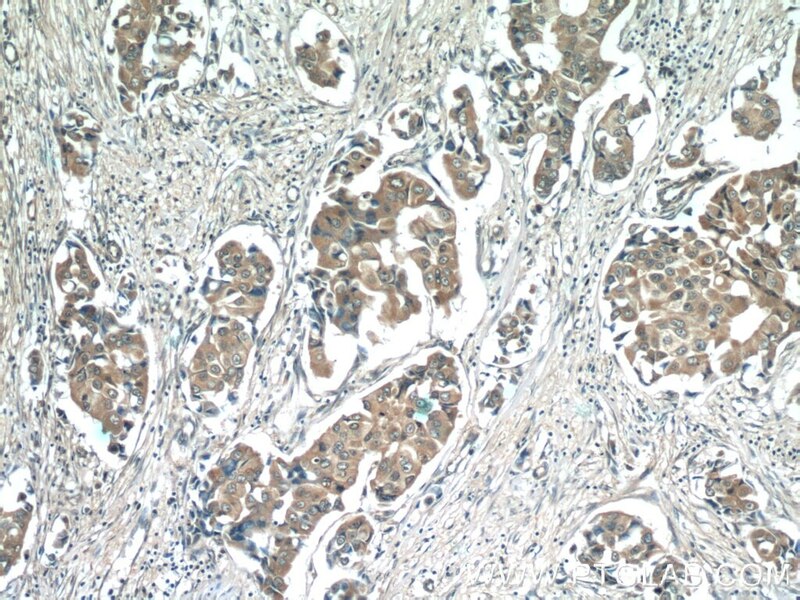 AZGP1 is involved in carcinogenesis and differentiation. 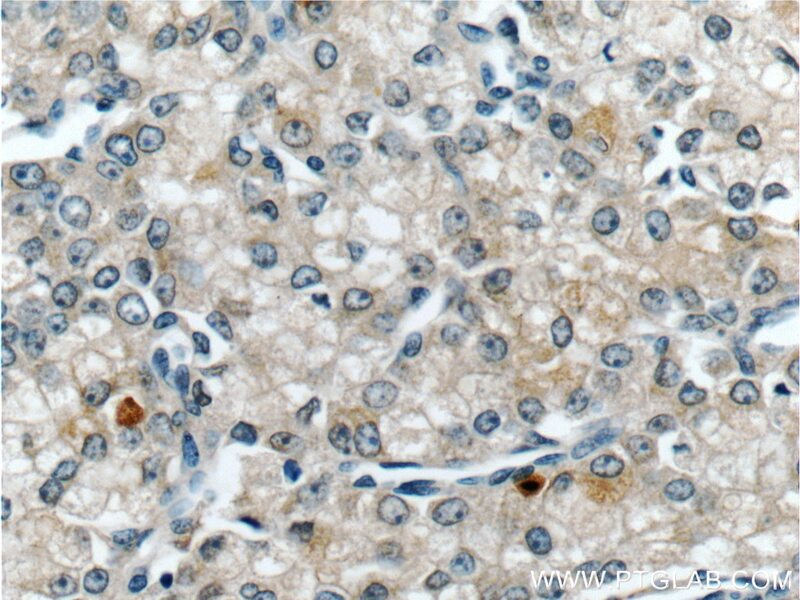 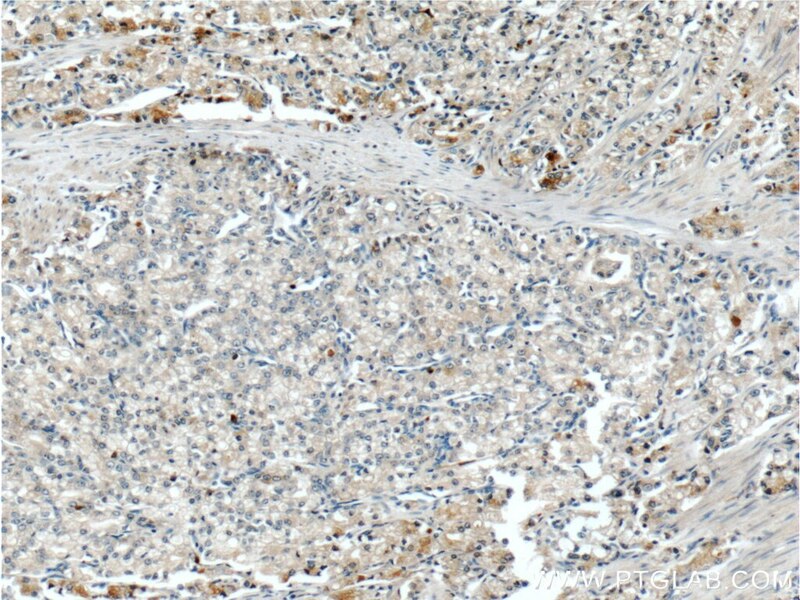 Altered expression of AZGP1 has been reported in breast cancer, prostate cancer and lung adenocarcinoma, hepatocellular carcinoma, pancreatic carcinoma and oral tumors (PMID: 22625427). 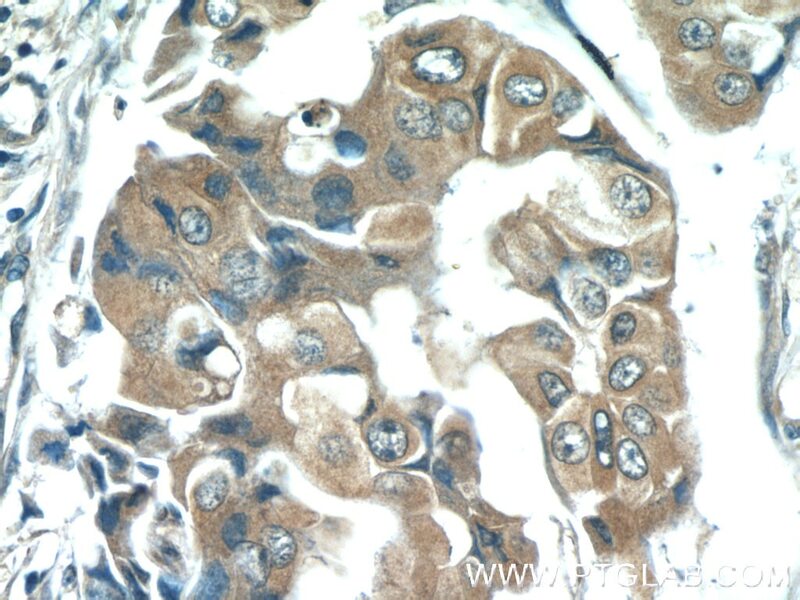 Reduction of AZGP1 predicts poor prognosis in esophageal squamous cell carcinoma patients in Northern China.